Potential cancer patients in some home nations stand less chance of being immediately referred to specialists or for tests than their European counterparts, a new report suggests. Cancer survival rates in Canada, Sweden, Australia and elsewhere are also higher than those in Northern Ireland, Wales and England due to fewer delayed referrals, it is believed. The international study is the first to establish the link between disease survival and the medical profession's readiness to see if cancer is the problem. However minor a person's suspected symptoms may appear, the best medical advice is to get them checked out straight away. If the worst happens and patients are diagnosed, then a holiday can provide a welcome tonic. Cancer travel insurance can ease worries about travelling abroad. It offers 24/7 emergency help, as well as cover for things such as lost passports. The research studied nearly 2,800 primary care health providers over 11 nations and regions. In each area it found a link between patients being investigated early - whether directly or through secondary care referral - and survival rates. 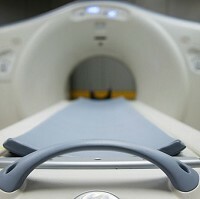 In many cases, it found that UK physicians simply lacked sufficient access to MRI and CT scans to help them look for tumours. The research pointed to a substantial "variation" between different places in the world in GPs' access to such diagnostic tests. Macmillan Cancer Support's joint chief medical officer, Jane Maher, said such information can help guide the heath profession as to how it can go on improving cancer care, including survival rates. She said delays in detecting cancer can be caused by a variety of things. These include "inadequate" diagnostic capability, communication breakdowns between primary care and hospitals, and what she called the "over-stretched" healthcare network. She said that GPs needed to be supported well in order to detect cancer symptoms as soon as possible, if the UK was "serious" with regards bettering rates of cancer survival. The Royal College of General Practitioners (RCGP) defended the 50,000 GPs it represents. The RCGP said doctors were carrying out an "excellent" job, particularly given the restricted facilities at their disposal. BMJ Open published the results.